Cognitive behavioural therapy for psychosis (CBTp) shows no benefit to improving quality of life and reducing distress of people living with schizophrenia, a study has found. Researchers found that the psychological therapy did result in a small, temporary improvement in functioning but no suggestion of an overall improvement in well-being. 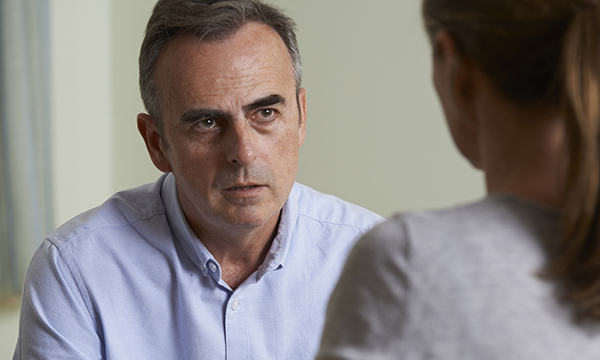 The team, led by University of Hertfordshire professor of cognitive neuropsychology Keith Laws, assessed whether CBTp helps people diagnosed with schizophrenia in multiple areas of their lives beyond their symptoms. National Institute for Care and Health Excellence (NICE) and the Scottish Intercollegiate Guidelines Network (SIGN) guidelines say CBTp should reduce depression, social anxiety, relapse, impact on functioning, psychosis symptoms and the distress associated with them. However, recent meta-analyses, which review the findings of multiple studies to establish a common conclusion, have found that CBTp to have only small effects on the symptoms of psychosis. The new study published in BMC Psychology is the first meta-analysis focussing on the effectiveness of CBTp on non-symptomatic outcomes. ‘With an effect size that was close to zero, we found no suggestion that CBTp improves quality of life for people diagnosed with schizophrenia,’ said Professor Laws.